Search the top New York RN to BSN Programs. Our comprehensive guide includes detailed information on becoming a Registered Nurse and degree requirements and details on New York RN to BSN Programs. 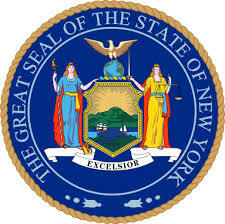 The state of New York is a breeding ground for successful professionals. With a gigantic population of over 19 million, this state truly is a land of opportunity. The dynamics of a state with such a large city that is so diverse in cultures can prove both challenging and rewarding for those working as a nurse within the state. Working in New York can be a pleasurable experience that provides a feeling of accomplishment for those in the nursing field. New York has some of the busiest hospitals in the country, making nursing a highly important field throughout the state. For nurses that are looking for a way to increase their potential in the field, RN to BSN programs are the answer. New York offers many different programs that will transition current registered nurses to bachelor’s level professionals in around 2 years. These programs can be in high demand for nurses with only an associate’s degree. There are some employers that could be more likely to require that nurses hold at least a bachelor’s degree in order to qualify for new job opportunities. Nurses that are seeking promotion in their current career may also find it much easier with a higher degree in hand. RN to BSN programs provide new knowledge in the field of nursing that only adds to the expertise of individuals working in a clinical setting. With additional scientific principles and techniques, nurses graduating from this program will be prepared for any situation. There really is no better way to make a difference in the lives of individuals than being a part of the nursing field. For years, nursing has been one of the most popular degree programs for individuals. Working in this field provides a great feeling of self-worth, as well as excellent financial capabilities. The annual median income for registered nurses working at the bachelor’s level in New York is $77,110 (source). The financial aspect of increasing a degree can be one of the main reasons why these programs have grown in popularity. Individuals want to have a career that provides well for their families. Not only do these careers need to have great income availability, but they also need to be reliable. The healthcare field can sometimes be seen as a profession that can weather economic challenges and other issues that may affect other jobs. Those currently working in the field have already made a decision to be involved in the healthcare field for whatever reasons they’ve chosen (to help others, career opportunity, etc.). The next step is taking part in a degree program that could potentially support a successful lifestyle for years to come. Programs are available throughout the state, both in person and online.